This is not a book about who is saying what. It’s a book about what God says. It’s not a book about impersonal theological issues. It’s a book about people God loves. It’s not a book about arguments, doctrine, or being right. It’s a book about the character of God. 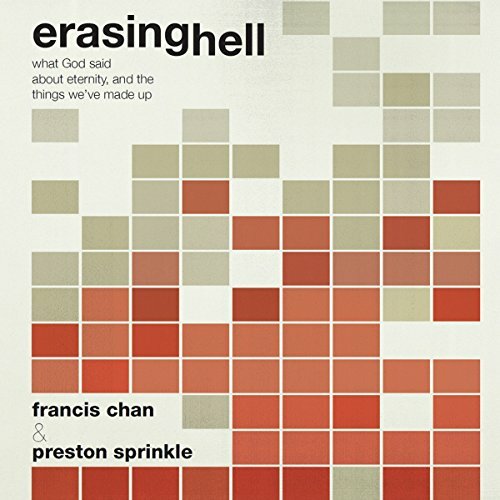 Erasing Hell will immerse you in the truth of Scripture as, together with the authors, you find not only the truth but the courage to live it out. Objectiv, the authors did great research and master to show the whole biblical picture about the difficult topic of hell in christian theology respectively the Bible. Great audiobook, would recommand it to liturally everyone!